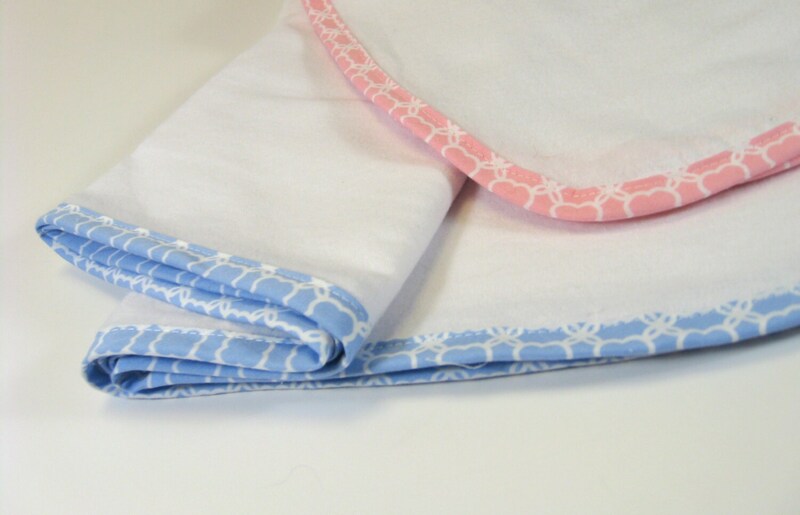 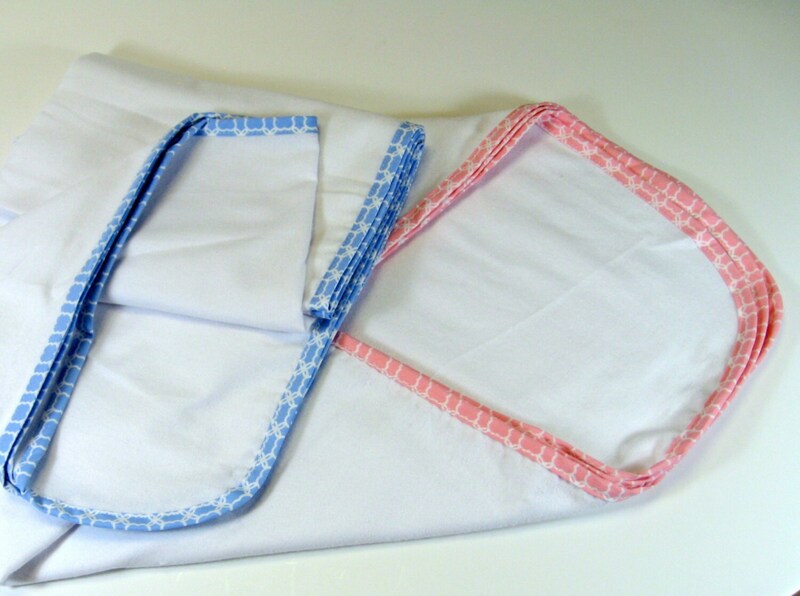 Our flannel blankets are made of 100% cotton double-napped flannel and measure 44x44. 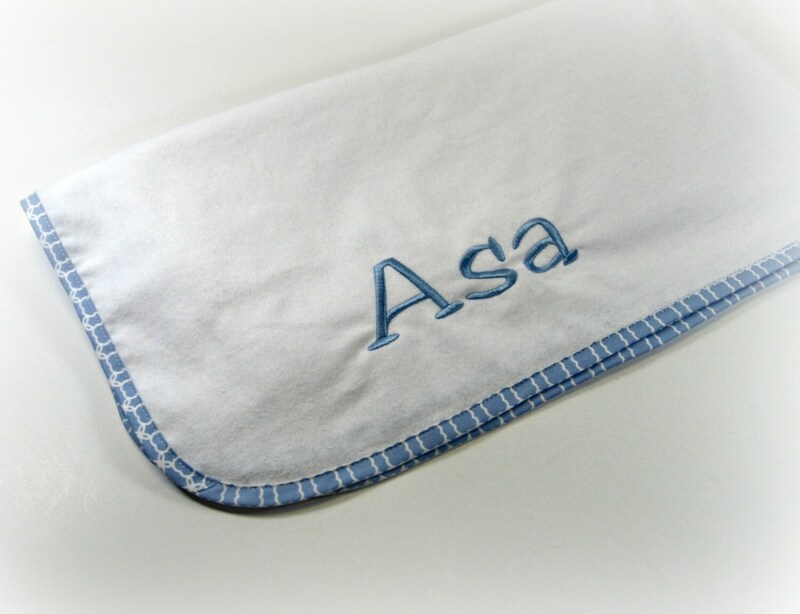 They are very multi-functional - use them as a light blanket, a floor mat, for swaddling or as a cover for your stroller on a sunny day. 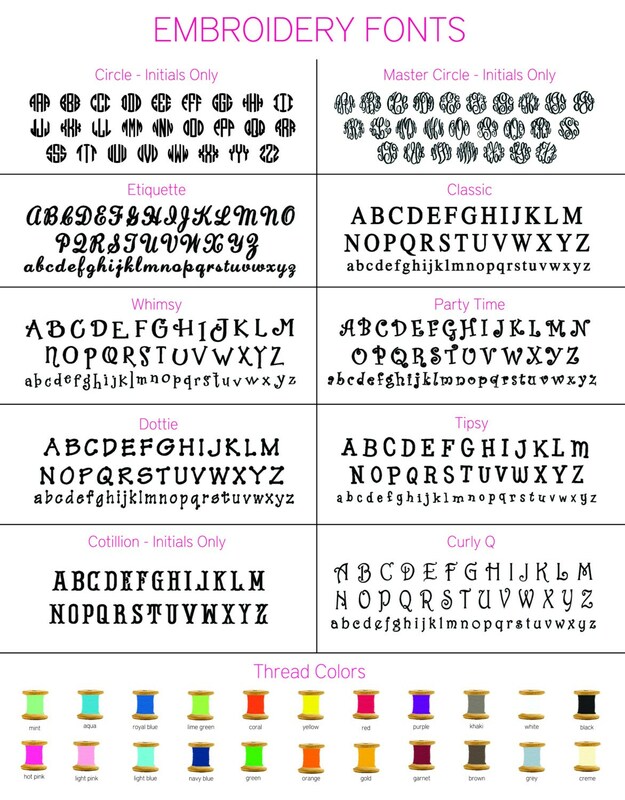 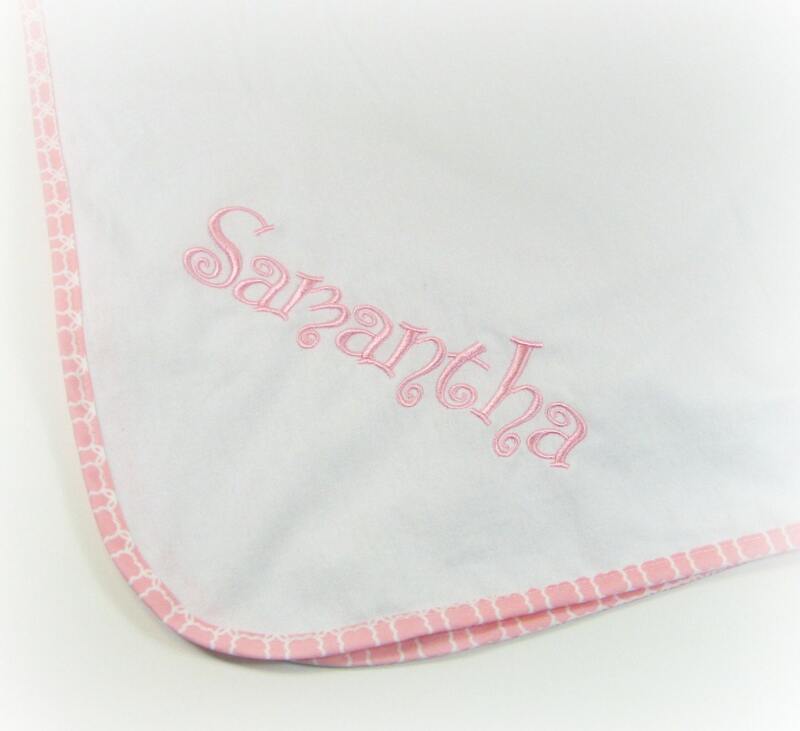 A monogram will make them extra special--and its included!